In 2012, IWSI Founder, Andrea Williams, took a class titled International Holistic Development as a part of her Master’s in Organizational Leadership at Regent University. During the semester, students identified an organization to work with in Rwanda, consulted with the organization, designed and developed a project, and finally the course culminated with a two week trip to work directly with the organization. Andrea chose an organization that worked with street kids. The term “street kids” was new to Andrea, but many of the root issues and struggles, she was all too familiar with from her own past. The Lord had spent a decade working out her healing and restoration from a childhood of abuse, abandonment, and broken identity. In the process, God cultivated in her a heart to see real tangible change in the lives of the most vulnerable and oppressed. Andrea returned to the US, but her heart would forever be knitted to Rwanda, a place where the Lord began to unveil a greater purpose for her life which would be fulfilled through the ministry of I Will Stand International. IWSI’s purpose would be to stand and do for those who cannot do for themselves, all the while equipping and empowering them to begin to stand for themselves, and eventually stand for others creating a ripple effect of healing, restoration, reconciliation to the Father, and fullness in their identity in Christ. In the summer of 2012, plans were being made to begin doing rescue work in Rwanda when Ashleigh Lindsay, the daughter of one of Andrea’s acquaintances, was murdered in a domestic violence situation. Ashleigh was on the run and was hunted down by her ex-fiancée. She was 6 months pregnant. In an effort to organize something locally to affect change in the lives of women, the idea of an underground network of safe houses was born for women in vulnerable, homeless, or on the run situations. While we have yet to see this come to full fruition, we have continuously worked with, placed, mentored, employed, and helped women in similar situations with basic needs since the Fall of 2012. In the Fall of 2014, we opened Agape Home, an emergency rescue shelter, in the capital city of Rwanda. We took in 18 vulnerable children and began providing clothing, shelter, food, medical care, and an education. In the Spring of 2016, we shifted into a foster care model which has worked beautifully. Through our foster care system in collaboration with the NCC (Rwanda equivalent of CPS), we identify local, vulnerable families that desire to give back and help take care of children that have no home. IWSI Sponsors step in and give the family financial support for opening up their home to the vulnerable child. The sponsorship money (all of which goes directly for support) often times helps to support an entire family instead of just one child. In the Spring of 2018, we opened Keza Sewing School for vulnerable women in the same community. We started our first year with 10 young women. In January of 2019, we expanded over into Uganda to begin sending vulnerable children to school. Without an education, most of these children will face the same destitution as their parents. In the Spring of 2015, Restoration Boutique in Hurst, TX was opened as a way to help support the work of IWSI. However, it quickly turned into a local outreach to minister to the most vulnerable in the HEB area. We had removed the price tags in the store and blessed people with what they needed while allowing people to donate in any monetary amount for the items they took. In the Fall of 2016, street teams were launched in Southeast Texas bringing items of need out into the community while looking for people who were ready to have needs met at a deeper level. Our teams prayed with, developed relationships with, and transported people who were ready for change to discipleship houses in the area. In the Fall of 2018, Tori Shields, a longtime acquaintance of the IWSI’s founder, had an idea to hand out blessing bags in the streets of Dallas/Forth Worth. A call to Andrea turned into organized events each month in the streets to meet the needs of the people in their own area.  The leadership team of I Will Stand International looks to fill in the gaps where we see them. We are diligent to put to use the resources entrusted to us to bring about effective change in the lives of others. We believe that change at the core will have a lasting effect throughout one’s life. We invite you to join with us in our effort to help “the least of these”.